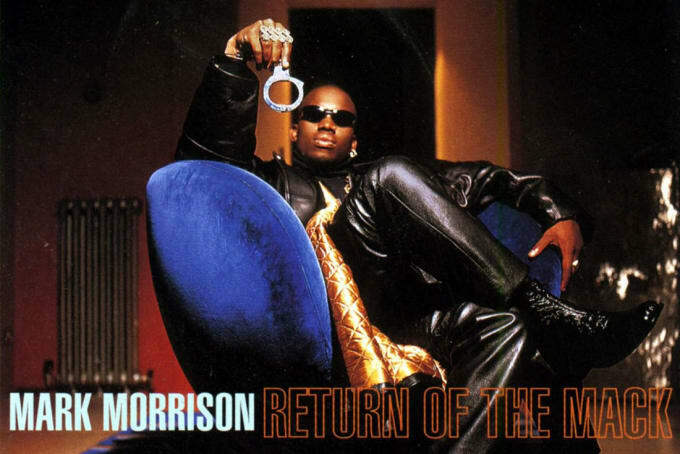 As the song itself tells us, "Return of the Mack" was Mark Morrison&apos;s big break. The third single from Morrison&apos;s debut album topped the UK Top 40 Singles Chart a month after the song&apos;s release in March 1996. A year later, the song caught a second wind in the U.S., where "Return of the Mack" then peaked at #2 on the Hot 100. Twenty years after its release, "Return of the Mack" has aged, rather gracefully, into pop immortality. So has the music video, directed by a young Jake Nava, who then went on to work famously well with Usher, Kanye West, and, most awesomely, Beyoncé. To commemorate the 20th anniversary of the director&apos;s magnum opus, we asked Nava to recall the London club vibes and stateside, post-Bobby Brown, post-Bad Boy sheen that influenced his music video treatment for "Return of the Mack." I used to run a nightclub called Slow Motion, which was also slow jams and a bit of reaction against the house music revolution. It was a kind of cult, underground place. While everybody else was getting into rave, we were still playing slow hip-hop and nu-soul. There was a bit of new jack swing, but that was a bit far for us. We had a strict speed limit of 100 BPM or under. The Young Disciples and the Brand New Heavies, that was part of our world back then. I suppose the American equivalent was Jill Scott. Slow funk, but with modern beats. I had always loved hip-hop, which, in those days, was American music. At the same time, I understood there was a need to tell the London version. Was there much overlap between your film school friends and the club scene? Martin, one of my oldest mates, who I met when I was about 11, he’s in the video with cornrows in the club scene when Mark walks in. Oz was this amazing character who, sadly, passed away from sickle cell. He is the guy who makes the crazy face when Mark turns up and catches his girlfriend with another man. The boyfriend that Mark’s girlfriend is in the arms of outside the club when Mark pulls up was actually a mate of mine, Jay, who I used to run Slow Motion with. The people I went to film school with weren’t involved in that world as much. The British advertising world was not interested in representing black culture as much then. I grew up in London, and I’m kind of mixed in race. I was born and bred in North London. My dad is a black Mexican, and my mom is half Austrian, half Dutch. I had my cousins living in L.A., so I felt a genuine bond to that American culture, and I had always loved hip-hop, which, in those days, was American music. At the same time, I understood there was a need to tell the London version. I wanted to represent our version of British black music in a way that could visually stand up to the amazing big budget videos we were seeing, like Hype’s work on MTV. Which music videos had caught and really held your attention at that point? Hype’s work was still fresh. At the same time, I was influenced by more cutting-edge British directors like, say, Chris Cunningham. When, and how, did you first meet Mark Morrison? I think it was in a West End club. I remember seeing him at the bar and thinking, what a coincidence, since I had just written a treatment for “Return of the Mack.” I pitched him my idea. It’s quite rare that jobs turn up like that. I remember Mark&apos;s managers were tough dudes. His badass persona was not simulated, let’s say. I remember arriving to an edit of a later video in the middle of the night, to make changes, and he turned up not quite in his slippers coming out of the limo with his entourage, and he had this big gold chain. All that kind of stuff wasn’t as common in England. I felt like I was refining that a bit, using that aspect of him and his influence of the American chic into something that was a genuinely black British version. The club was closely based on the kind of parties we used to go to, which were held in warehouses or raw spaces. In this case, it was under the arches of a train track. You kind of see, he pulls up outside of a train arch and the club scene was directed into it, the kind of places people actually did put on parties in those days. Illegal warehouse parties. Do you remember where, exactly? Not exactly. I’m nearly sure that we were in East London, where there are certainly arches just like that. I definitely shot the drive-by, without permission, outside the famous Lloyd’s building. That was a stand in for the way the New York skyline was a character in those hip hop videos. I was trying to show our underground club world and also the impressive aspects of our city. I remember doing that shot where Mark is looking out the car window at the girl in the arms of this other guy as he pulls up. We spritzed the window for a rain effect. By luck, a particular drop of water just ran down Mark’s eye, and it felt like he was evoking his own emotion. We also had these shots of snakes in glass tanks in the backroom office of the club, and that ended up being cut into the scene when he sees the girl cheating. As a metaphor of her snaking on him. At that point, Susana was very much so a new face. She was stunning, but she was not a very big model. Susana Agrippe. She had a lot of exposure with “Return of the Mack,” and she went on to become a quite successful model. The video was styled by Karen Binns. She was a New Yorker, in fact, but an ex-pat who very much lived in London. She’s gone on to be a very prolific stylist for all types of British bands and fashion stuff. I remember her bringing this silk scarf and leather coat for Susana. For Mark, I think the suits were from Ozwald Boateng. I had this sense that Mark should have this chic, British tailored, black James Bond side about him. Ozwald was a mate of mine from West London, and he was still coming up. He’s now a very established and classy Savile Row tailor. He’s of African descent, and that was a rare thing. I enjoyed bringing his style into the way we dressed Mark. "Return of the Mack" is this huge dance single, but the little dancing there is in the music video is pretty understated. Why is that? I was excited to represent the atmosphere that we had achieved in my club, which was not about people doing choreographed dance routines in front of light walls. It was about gritty locations where people wheeled in a reggae soundsystem and you’d bust out to bass-heavy tunes. It was basic. It was raw. There&apos;s bits of the video where you spliced Mark into triplets, all walking alongside one another under an arch. I was inspired to multiply him by the harmonizing on the song. It felt right. How&apos;d you create that visual effect? It’s the kind of rudimentary motion control shot where the camera repeats the camera move the same time and you move him to three different positions. It was the first time I worked with the motion control camera, and of course it broke down, like they always did in those days. It made me never want to use one ever again, which I didn’t, for years. I remember being in America, on a job, and just bumping into Lyor Cohen. 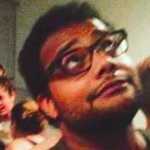 I was a new boy from a tiny island, and he was a complete hip-hop impresario. That felt very exciting to a guy from England. It was not two years later that I really ended up fulfilling my ambition to make my visual mark on American music and work with all of the amazing artists I worked with years later. I remember meeting Margo, who was the video commissioner of Def Jam at the time, and who I didn’t end up working with till years later, when I did “Monster” with Kanye West. I went on to do a lot of videos for people like Mis-Teeq, Shola Ama, Glamma Kid, and, really important to me, Ms. Dynamite, who is the only one of those people that you might have heard of in the U.S. She’s an English artist who I worked with after Mark. Before Amy Winehouse, she was someone we really believed in. She’s got skills, no doubt: rapper, singer. I did a video for her called “Dy-na-mi-tee” that’s much more accomplished and cool, and doesn’t date in the same way as the Mark one does. “Scandalous,” for Mis-Teeq, is another one that I’m pretty proud of. Mis-Teeq was a group, these three pretty black girls, and I guess “Scandalous” was partly what ended up getting me noticed by Beyoncé. She definitely mentioned some of the more cutting edge British videos I had done, and it was clear to me that she wasn’t just going for the urban side of what I’d been doing in England, but also something that would be a fresh take for her so that maybe she wouldn’t end up going to Hype Williams, Dave Meyers, Francis Lawrence, or Paul Hunter. They were literally the four guys that everybody in that genre went to at that moment if they wanted to get on MTV. Do you and Mark still talk? He sent me a nice email the night “Crazy In Love” won a music video award, but I haven’t had a lot of contact with him. Although it was challenging to work with him on some of the later videos, I have really fond memories because he was a great character, and a dynamic character.